Canada may have legalized adult-use cannabis on October 17, but that doesn’t mean consumers are able to purchase the drug. According to Bloomberg, there are widespread shortages across the country, despite an ample supply of licensed producers awaiting approval from Health Canada. Many of these licensed producers have been waiting a year or more after completing all of the requirements to receive a license. There are just over 130 approved licensed producers (cultivators) across Canada, but only 78 of those companies are licensed to actually sell cannabis. With more than 600 applicants in various stages of review, there is significant pressure on Health Canada to work through its backlog and even out supply and demand. The agency has so far hired 300 additional staff members to help resolve the issue in a timely manner. In this article, we will take a closer look at these dynamics and why FSD Pharma Inc. (CSE: HUGE) (OTCQB: FSDDF) (FRA: 0K9) could be a great opportunity for investors in the space. 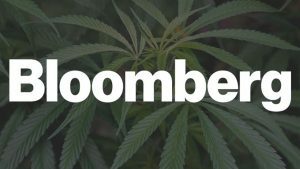 Canopy Growth Corp. (TSX: WEED) CEO Bruce Linton told Bloomberg that the core problem was an unknown demand curve. In the other words, nobody knew how much recreational demand there would be at the onset and everyone was caught off-guard. Canopy Growth shipped about one million grams of medical cannabis during its first four years, but the company expects to ship the same amount of adult-use cannabis in just four weeks. Many provinces have struggled to receive the cannabis that they were promised by licensed producers under their supply agreements. Chara Goodings, a spokeswoman for the government regulator that’s overseeing sales in Alerta, told Bloomberg that “very few” licensed producers have been able to deliver what they agreed upon. Many have faced issues of their own, including a lack of qualified greenhouse workers. While the short-term solution could involve some tough decisions, such as allowing legal retailers to sell products sourced from the black market, many investors in the 600+ applicants are hoping that the application process speeds up considerably to help meet demand in a completely legal fashion. Investors in existing licensed producers are also hoping that supply problems will be quickly resolved to avoid any disruption. FSD Pharma is well positioned to become a leading producer of cannabis once it receives its sales license from Health Canada. With a former Kraft facility as its headquarters, the company already has 3.8 million sq. ft. of grow space that’s strategically located on 72 acres of land near Toronto. Auxly Cannabis Group’s (TSX-V: XLY) $55 million capital infusion will also fund the development of a 220,000 sq. ft. space for cultivation and extraction. Many licensed producers aim to capitalize on the burgeoning adult-use market, but others don’t see the near-term supply issues remaining forever. Medical cannabis will always be higher margin than adult-use cannabis because it involves a much stricter quality control process backed by strong research and development. Some licensed producers are taking a diversified approach to the market by targeting both adult-use and medical cannabis. FSD Pharma recently announced a binding letter of intent to acquire Therapix Biosciences Ltd. (NASDAQ: TRPX) to bolster its high-margin pharmaceutical business. In addition to the novel cannabinoids acquired through this transaction, the company has an agreement with Canntab Therapeutics Ltd. (CSE: PILL) to provide 10,000 sq. ft. of space to produce its novel oral cannabinoid delivery platforms in exchange for a slice of the revenue. FSD Pharma Inc. (CSE: HUGE) (OTCQB: FSDDF) (FRA: 0K9) represents a compelling investment opportunity within the cannabis industry. With the supply shortage in Canada, the company’s massive facility could capture a meaningful piece of the market once Health Canada approves its sales license. Investors should also keep an eye on its many joint ventures and partnerships within the medical space as a way to diversify.